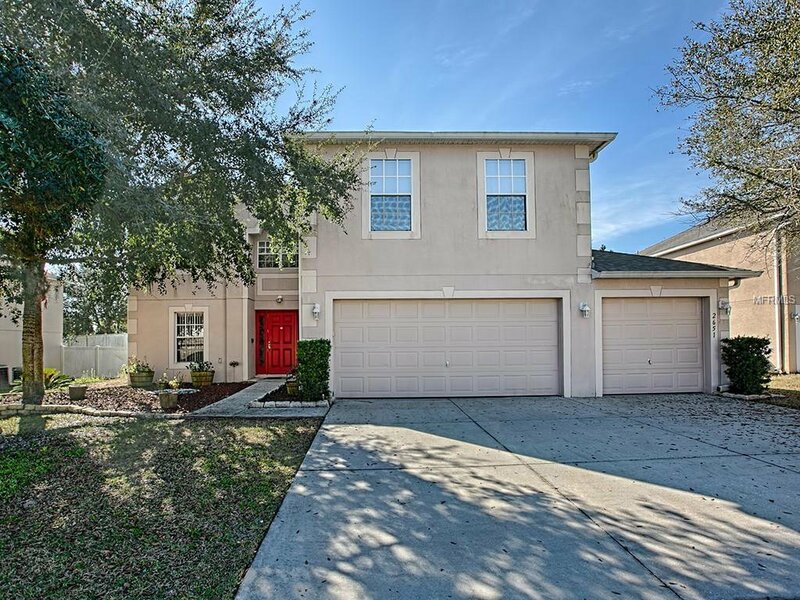 Move in ready, family home in quiet Apopka neighborhood featuring 4 bedrooms, loft office and downstairs BONUS room. NEW ROOF in 2019! Fantastic island kitchen with double pantries, gas range and amazing Kenmore Professional fridge & freezer. Kitchen has eat in area that overlooks Family room and also opens up to the beautiful POOL. Dining room off of the Foyer to the left and Bonus room down a short hallway to the right. Kitchen and Family room located toward the back of home. Upstairs has 4 generously sized bedrooms, guest bath with dual sinks and spacious loft area currently used as an Office. Enormous Master Bedroom with engineered hardwood, vaulted ceiling and private en suite. Salt water pool has very large deck providing plenty of room for lounging and deck furniture. There is also an outdoor shower for a quick rinse. Shady backyard is completely fenced with PVC fencing. Inside utility and the 3 CAR garage round out this wonderful family home just minutes to the SR 429 Connector providing easy access to almost anywhere in Central Florida. Come and see today! Listing courtesy of ERA GRIZZARD REAL ESTATE. Selling Office: REAL ESTATE PROFESSIONALS SE.